You smile is one of the first things people see. Many people are not happy with the way their smile looks because of the chips or cracks in teeth, crooked teeth, spaces between teeth, or even teeth yellowing. In some cases, it might seem that the smile you wish for exists only in your dreams. Yet, with veneers, the smile you’re looking for no longer has to be a dream. You may or may not have heard of veneers. A veneer is a thin part of porcelain which is placed over the natural tooth. The veneer provides the physical appearance you’d like and also adds a little strength to the teeth. An assessment with your Shelby Township dentist along with a smile analysis will help you to find out if a veneer is the proper procedure to achieve your desired results. Whenever the decision has been made, you’re on your way to an attractive smile. 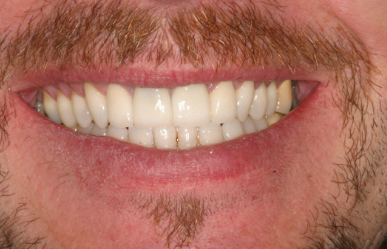 The application of a veneer is usually a two appointment process. The very first appointment consists of trimming your teeth and building a mold. Trimming of the teeth means that a tiny layer of the enamel (less than a millimeter) would be removed; this process is necessary for the veneer to be properly placed on your tooth and for the veneer to fit properly into your mouth. 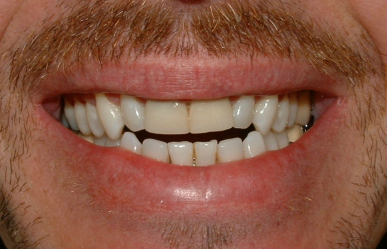 A mold of the teeth should be taken so that the veneer can be designed to fit. Also during this appointment, the color of your veneer is determined by you and your dentist. Right after the impressions have been created your dentist will send them out to be made, which takes one to two weeks. For your next visit, you dentist will prepare your tooth for the bonding of the veneer. A dental cement is applied to the surface of your tooth and the veneer is put into place. A special light is necessary to “cure” the dental cement. As soon as the veneer is bonded in its place, your dentist will clean up any extra cement and polish your brand-new veneer. Another, follow-up appointment is typical in order for your dentist to check with you on overall happiness with the overall look and feeling and to also check for any issues. Veneers are produced for each individual and it will be extremely tough to tell the difference between real teeth and those covered with a veneer due to the translucency of the porcelain being similar to the translucency of tooth enamel. In addition they require less enamel to be removed than a crown. Stains from coffee or tea will no longer be something you need to worry about and there is no special care needed for them, just normal brushing and flossing with regular appointments with your dentist. Are you looking for a dentist in Clinton Township, Michigan? If you would like a dentist who cares about your overall well being, HPS Advanced Dental Care is the office for you! If you have any additional questions about veneers or would like to schedule an appointment, please call 248-652-0024 or visit our website, mercuryfreedentalwellness.com.